I usually reserve these type of lists for lesser known writers in the horror genre who have shared a story that I enjoyed. 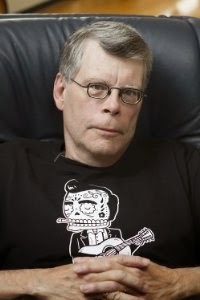 I've been a fan of Stephen King since the mid seventies when I discovered his work in of all places a men's magazine while I was stationed in Texas with the U.S Army. I've always enjoyed his work, and while Mr Mercedes is not technically a new release, I'm posting about it as I wish to avoid the controversy surrounding A Good Marriage, which is technically his latest release currently available. Day nine of the countdown finds us in the grip of a true master of terror.